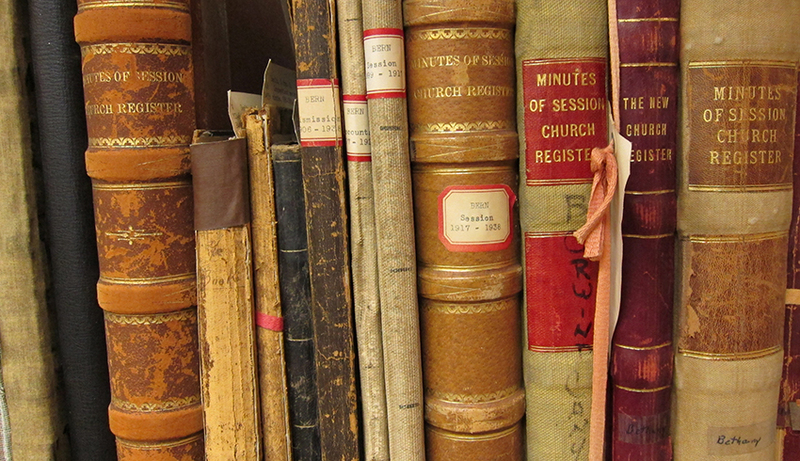 The Presbyterian Historical Society supports the record-keeping activities of all entities of the Church. For congregations, we carry out that mission by digitizing records; storing records of permanent value ; and providing advice on records retention, storage, and preservation. We digitize original records and microfilm for PC(USA) congregations at a subsidized rate. We hold original records of permanent value on deposit in an environmentally controlled archival storage area with specialized fire detection and security systems. Congregations can deposit records at no charge. You retain ownership of the records and may request their return at any time with written authorization from the clerk of session. The Presbyterian Historical Society provides advice to congregations on records management but does not hold congregation records of temporary value. Our general retention schedule for congregations follows below. Retention requirements for financial and administrative records vary from state to state. For further assistance, congregations should consult Records Archivist David Staniunas , an accountant, or legal counsel.